Bologna is not in the South, nowhere near it actually. 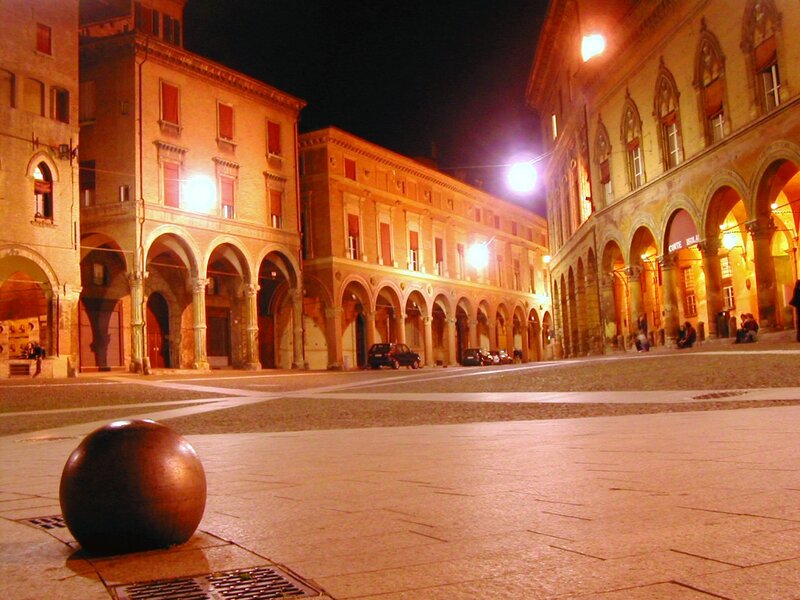 It’s the largest city in the Northern region of Emilia-Romagna. It’s also the capital of the region. 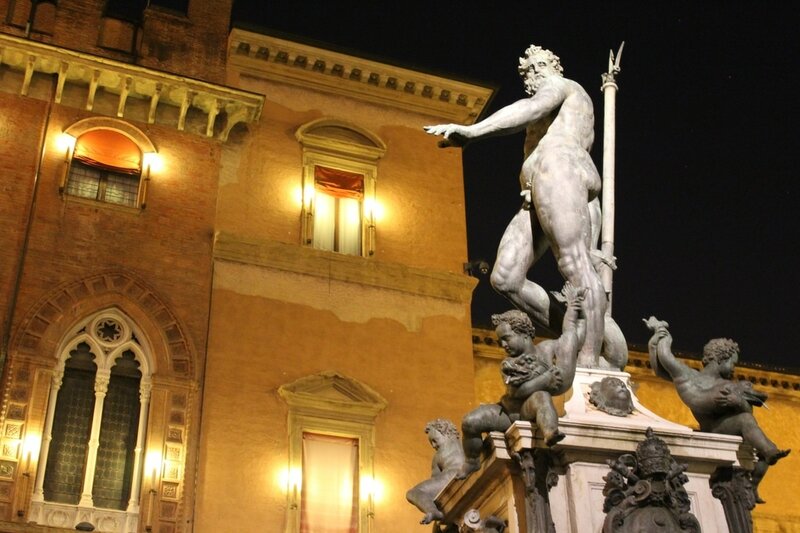 A rich city, known for its prestigious schools, medieval towers, churches, and art, Bologna is a well-respected and important city for Italy. 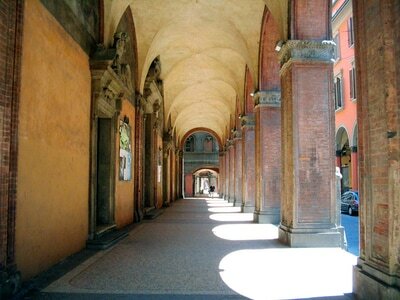 If you walk around Bologna, a pedestrian-friendly city, you will immediately notice the beautiful porticoes. Some 25 miles of the city center is sheltered from the elements of rain thanks to these beautiful and picturesque porches, which connect churches and other city buildings. The city is also renowned for some of the country’s best schools and universities, and is home to the world’s oldest university. Dante was a student in Bologna in the 13th century. 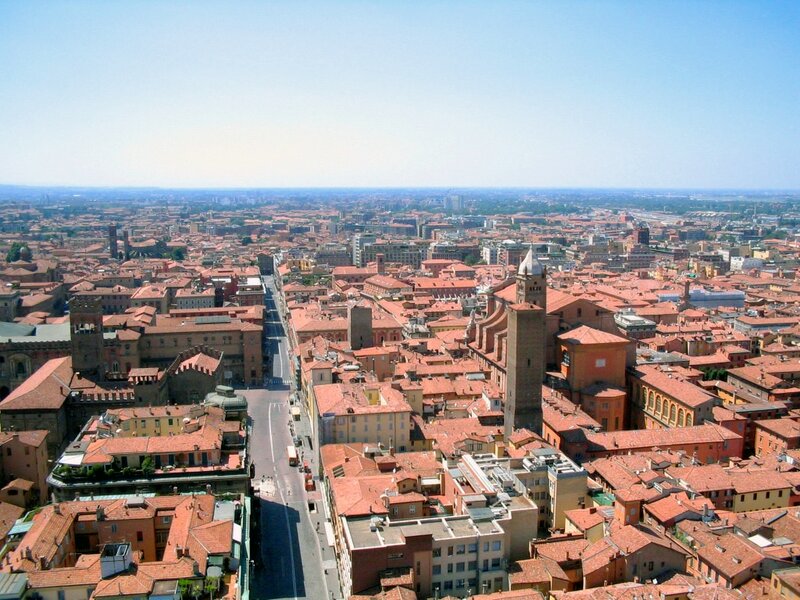 Le Due Torre, or Two Towers, are the most famous ones in Bologna that stand practically next to each other. If you’re looking straight at them, don’t worry, you’re not getting dizzy — they have a slight “Pisa” effect and both are a bit leaning. And if looking at them reminds you of New York City’s fallen twin towers, it’s because Minoru Yamasaki, the architect for the magnificent structures, is said to have been inspired by Bologna’s Due Torre. The Teatro Comunale di Bologna, Bologna’s opera house, is one of the most important in Italy. 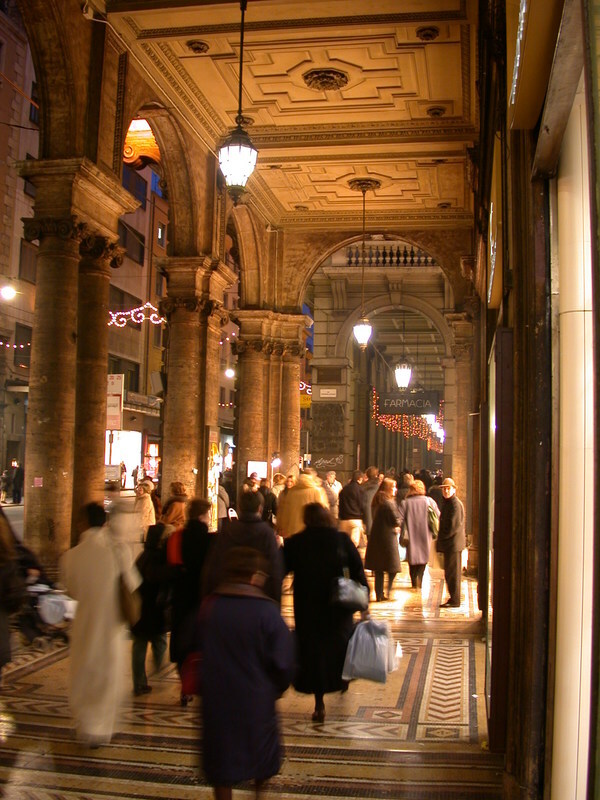 The city is also host to numerous festivals, including the International Contemporary Music Festival, International Classical Music Festival, the Italian Autumn Jazz Event and other countless celebrations. As such, the city is always festive and jovial. Now, let’s talk about food. Bologna is Italy’s food capital and affectionately known as “Bologna la Grassa” or “Bologna the fat.” But let’s get one thing straight: while some say that the lunchmeat “boloney,” you know the one, usually found inside many lunches in school cafeterias, was named after the city, the two have nothing in common. 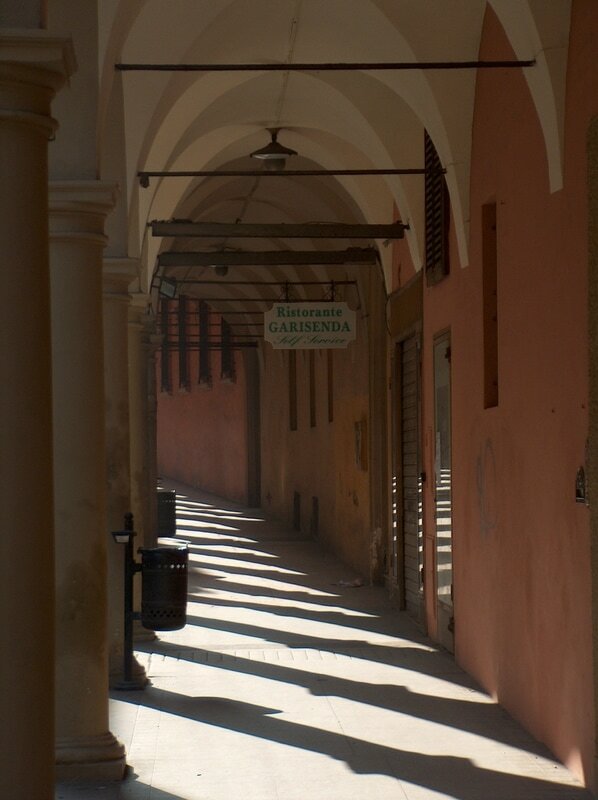 While Bologna (the city, not the meat) is home to mortadella, a delicious pork product, served either cubed or thinly sliced, and believed to be the inspiration to boloney, the two meats have no actual resemblance. Tagliatelle al ragu is another staple of Bolognese cuisine. Known to many as “Bolognese sauce,” it is typically made with ground pork and veal, carrots, celery and tomato sauce. (For a lighter, turkey version, see recipe here.) 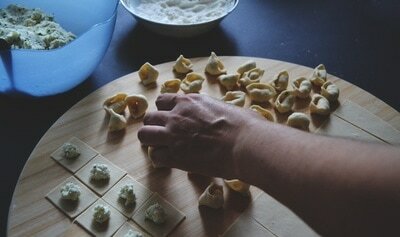 Like all Italian recipes, there are variations, including the addition of heavy cream, dry porcini mushrooms or wine. Often, tough not exclusively, butter will be used as the fat, as oppose to oil. They don’t call it “Bologna the fat” for nothing! For the record, the Bologna Chamber of Commerce protectively holds the “official” recipe. Needless to say, I did not attempt to get that recipe for this post. 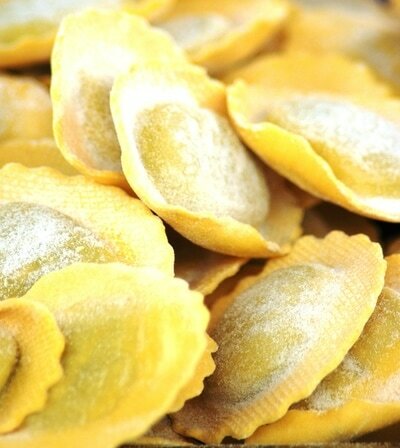 Served not with spaghetti, as perhaps in other parts of Italy, it is usually served with egg noodles called tagliatelle, freshly made, of course. Whatever you do, don’t ask for spaghetti to go with your ragu, it’s considered a bit offensive to the Bolognese. And yes, they also prefer you call it ragu as oppose to Bolognese sauce. 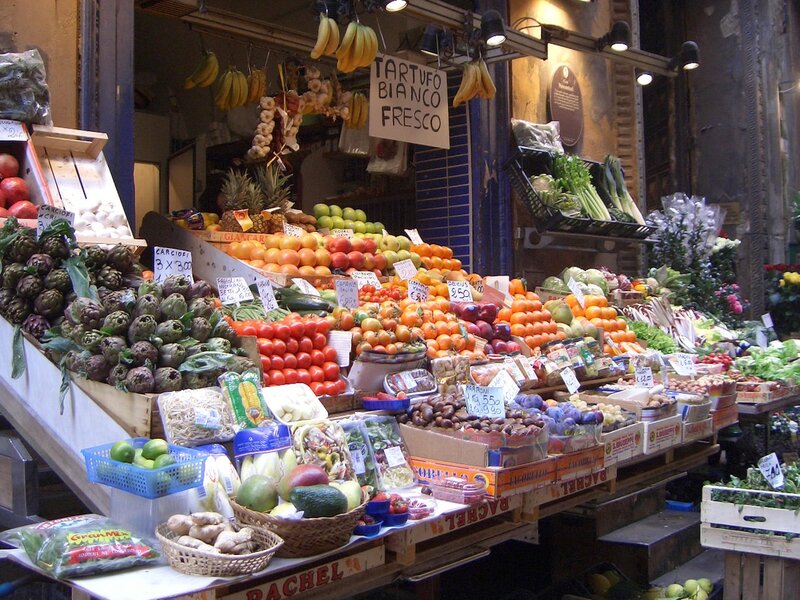 ​And what would a post on Bologna and Emilia Romagna be without mentioning specialties such as the indisputable king of cheeses, Parmigiano Reggiano and Traditional Balsamic Vinegar of Modena. 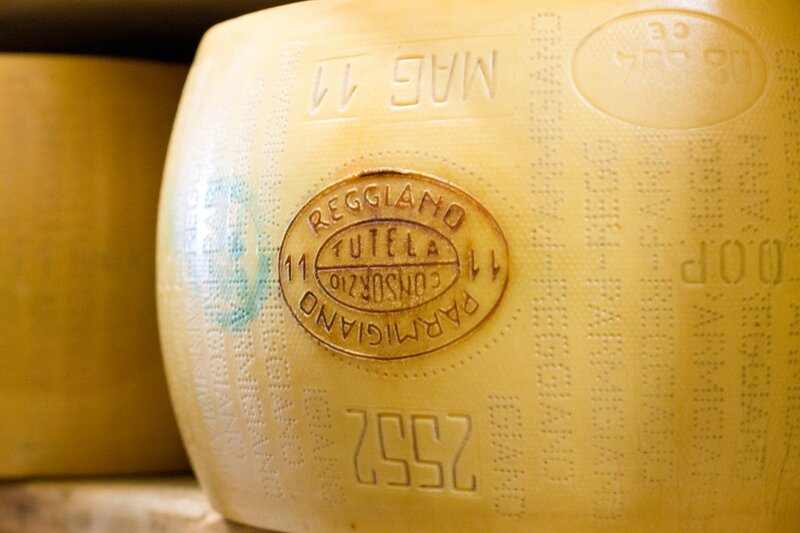 Easily identified by the markings on the rind, Parmigiano Reggiano cheese is protected by the Denomination of Origin and must follow strict guidelines and inspections. It can only be produced in the cities of Bologna, Parma, Reggio Emilia, Modena and Mantua. The cows that produce the milk used in making this deliciousness are fed only local grass and natural feed. No additives go in the milk and after the salting process, the curing lasts anywhere from 12 – 24 months. Do not be fooled by what we in the US call “parmesan,” much like the boloney, it’s a knock-off best left on the shelf. For home use, avoid having it dry out by grating it just before using. And what goes great on a nice piece of parmigiano cheese but a nice drizzle of Traditional Balsamic Vinegar? 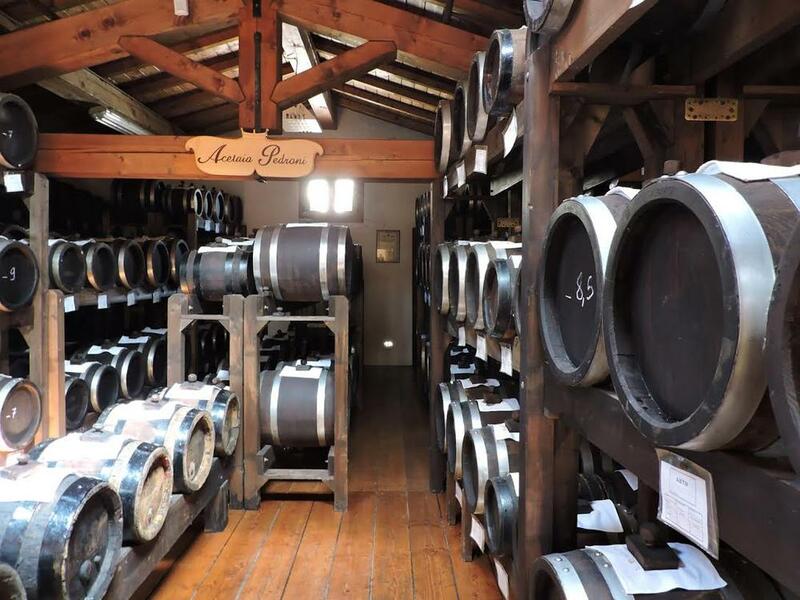 Made from the cooked must of white trebbiano grapes and aged for at least 12 years, the real “Traditional Balsamic Vinegar of Modena” is also protected by the Designation of Origin and is produced in the city of Modena, near Bologna. Classified as a condiment and not vinegar, the Traditional one is thick, syrupy and sweet. It goes just as well on a piece of parmigiano as it does on fresh-cut strawberries. What we find on grocery store shelves in the States and on restaurant tables is not “Traditional Balsamic Vinegar.” Similar in name, non-traditional balsamic vinegar of Modena is in fact, classified as a vinegar, does not have the requirement of it being cooked and is a combination of various musts, vinegars and in some cases, caramel. While a decent alternative for salads and every day use (be sure to buy the one without caramel), it should not be confused with the real thing. Don’t be shocked when the price will reflect its authenticity! See that stamps? That means you’re getting the real thing! While I love a simple panino made from a fresh roll, mortadella and a few shards of parmigiano, and I’ve yet to turn down a bowl of tortellini in my life, what might really be memorable from Bologna is their gelato. While an icon all over Italy, many claim that Bologna and Emilia Romagna are home to some of the country’s best gelaterie. We will be the judges of that during our culinary tour in October 2018. Consider joining us in one of our Culinary Adventures — we have three planned! PUGLIA: September 9 – 16, 2018 Click her for more info!